With Steve Bannon gone, President Trump has never been more isolated. By his very own Executive Branch appointments, it’s almost as though he’s backed himself into a corner … apparently with no way out. Given that he is surrounded by numerous agents of Deep State, he really has only one alternative at this point. Trump desperately needs to borrow a page from President Vladimir Putin’s playbook. What Putin did was arrest, prosecute and imprison the Russian oligarch who was the primary tool of the Rothschild banking syndicate. Mikhail Khodorkovsky was essentially used to steal much of Russia’s oil wealth via Yukos Oil Company. Through this criminal enterprise he became the richest man in Russia and 16th richest man in the world. 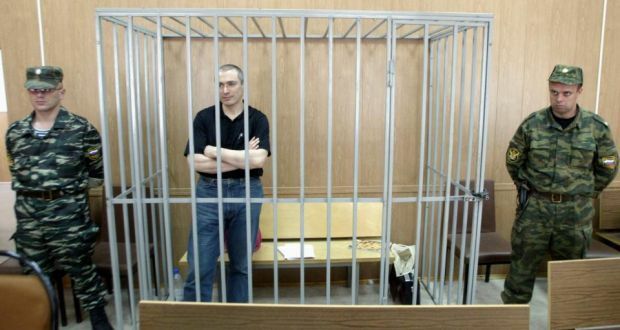 After all of his trials and convictions were completed, Mikhail Khodorkovsky spent 10 years in prison. Can you imagine Bill Gates or Warren Buffet spending 10 years in a federal penitentiary? Russian authorities began the process of removing Khordorkovsky from Yukos Oil in 2003, three and a half years after Putin was first elected president. This sole act by the Kremlin was the defining moment of the Putin era. Nothing even comes close. What this brilliant move did was put all the other oligarchs on notice. From that point forward, either President or Prime Minister Putin was able to carry out the necessary reforms to stabilize the Russian Federation. Which he has done with astonishing success. Fast forward 14 years to Washington, D.C. and we see a POTUS who is also harried by the oligarchs. Only there are far more of them and they are much more powerful than those in the post USSR. However, one of those oligarchs has been throwing his weight around America just like Khodorkovsky was doing in Russia. George Soros is not only an international criminal of the highest orde; he’s a proven traitor to the American Republic. Not surprisingly, Soros’s organizations are all banned in Russia. He’s also a wanted criminal there whose arrest for various crimes against the state and the people would be welcomed by many. That Soros is the main force behind an ongoing coup d’état against the Trump administration provides the lawful pretext for his immediate arrest and incarceration. This is exactly what Trump needs to execute post-haste. Were the rest of America’s ruling oligarchy to witness such a fall from power and influence, they would surely back off their rapidly intensifying Purple Revolution. The whole NWO cabal is merely using old George as the frontman for the coup. Apparently some psychopaths have no qualms about being branded an incorrigible warmonger and war criminal, mass murderer and genocidal maniac. Not Barack Obama, but George Soros is currently the most hated man in America. It was only Soros’s money that permitted Obama to complete 2 disastrous terms in the first place. Soros is also the most hated man in Europe. He was, and still is, Angela Merkel’s main supporter as well. The tyrannical German chancellor has been given credit for almost single-handedly transforming Europe into a dystopian, post-apocalyptic wasteland. She’s also a stone-cold NWO globalist who has achieved through economic might and financial power what Adolph Hitler failed to accomplish using military force. The bottom line here is that Trump needs to take down Soros, once and for all. If he does this, he won’t have to do much else to [SUCCESSFULLY] finish his first term. If he doesn’t, his presidency may not last beyond 2017—for real. So let’s be clear here: Soros is Trump’s Khodorkovsky. Putin especially jailed him because Khodorkovsky was funding all of Putin’s opponents, as well as many globalist causes designed to strip Russia of its assets. No, the similar names are not a mere parallelism! In the wake of 9/11, it was only a matter of time before the true human forces behind those fateful false flag attacks were exposed. This is where Trump can borrow yet another page from the Putin playbook. It didn’t take very long for then President Putin to figure out that Western intelligence agencies were behind all of the most deadly and destructive terror attacks on Russian soil. Once he possessed the proof, Putin ever-so-slowly began leaking this radioactive info into the public domain. While those various attacks and mass shootings did not rise to the level of the 9/11, the CIA-coordinated First & Second Chechen Wars certainly did. Russia has experienced a good number of terrorist attacks over the years all of which were actually CIA black operations. Now, in Russia, everyone knows that the C.I.A., MI6 and MOSSAD, among other Western secret services, conducted those covert attacks. This once highly classified information alone has allowed Putin to concentrate extraordinary executive power in the Russian presidency. Putin can do many things that Trump cannot do, particularly because they have tied his hands. The second bottom line here is that Trump’s presidency would be well served by revealing 9/11 truth. Certainly Trump knows what went down. Even if he doesn’t know all the details, he knows that the official narrative constitutes a criminal cover-up. And, that the government’s 9/11 Commission Report provides plenty of hard evidence to prove a cover-up (as well as the government criminal conspiracy) to the American people. Arrest him before the country is plunged into Bolshevik bedlam that similarly saw Russia descend into the Russian Revolution of 1917. Not only is Soros guilty of treason, he has funded numerous seditious enterprises around the country. Case closed! In point of fact, Soros and his assorted NGOs have supported every major riot and violent protest in America since the start of Obama’s first term. Those uprisings occurring since November 8, 2016 amount to nothing less than premeditated insurrection. Soros’s fingerprints are all over each and every leftwing insurgency. The FBI must have a file on Soros a mile high. Break it out and have the DOJ indict this traitor. 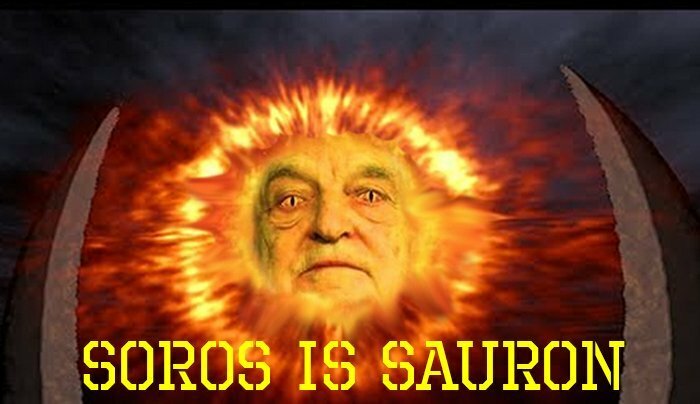 Soros: Evil Economic Warlord, God Wannabe, Or Both? Then go after all the 9/11 perps and bring the whole House down. If the POTUS does not do something radical very soon, Deep State will frogmarch him out of the White House. It’s either Trump (and US) … … … or Soros (and Deep State)! You got two trump cards up your sleeve—(i) arrest Soros and (ii) expose 9/11. You know how it works: If you don’t use it, you lose it.